Cute! Rare Editions spring clothing set. 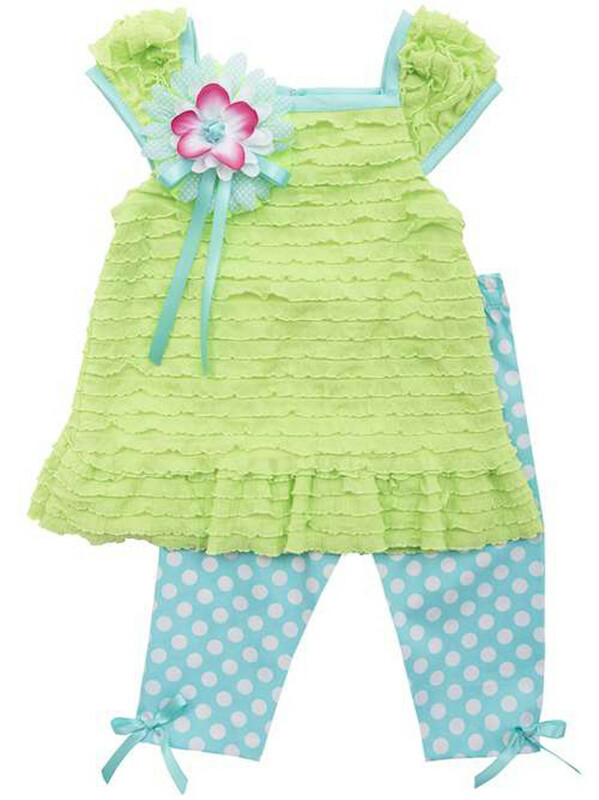 This 2pc set includes a lime eyelash top accented with a flower and polka dot capri pants complete this look!